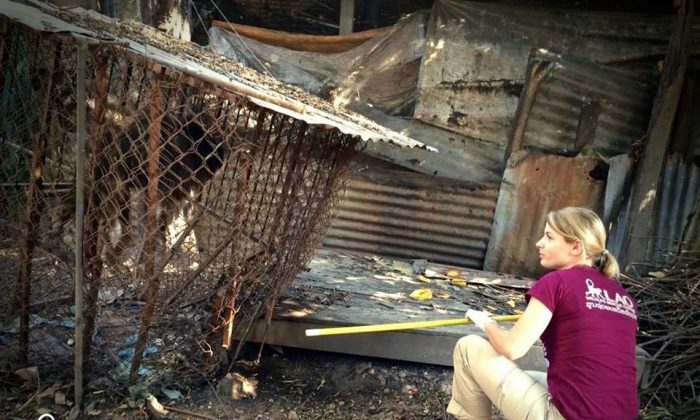 A monkey living in a small cage for 13 years was rescued by a wildlife center. The elderly male stump-tailed macaque was forced to reside in a small cage behind his owner’s house. The monkey’s owner finally called the Laos Wildlife Rescue Center and asked them to look at the animal. While there, the staff convinced the owner that they could take better care of Arnold, the macaque, and she agreed. “After numerous failed rescue attempts by the NGO that used to run the Lao Zoo we are delighted to finally see this macaque out of the hideous ‘home’ he had been confined to,” the center staff wrote on Facebook.